The International Symposium on the Nutrition of Herbivores (ISNH) is an international scientific conference that addresses a whole range of issues linked to the nutrition of herbivores in production systems or in the wild. The French National Institute for Agricultural Research (INRA) invites the 10th edition of the ISNH to Clermont-Ferrand, France The 10th International Symposium on the Nutrition of Herbivores conference will be a forum to discuss herbivore nutrition supporting agro-ecological and sustainable intensification approaches. The Symposium will feature plenary sessions, paper sessions, and posters by international experts. The sessions of the Symposium will cover basic herbivores nutrition to nutritional strategies to improve nutritional efficiency, product quality, health and animal welfare, and environmental issues. Contributions from young scientists are encouraged. The European Veterinary Immunology Group (EVIG) and the local organizing committee are organising the 6th EVIW, EVIW2018 in Utrecht, The Netherlands. Plenary and concurrent session topics will include: 1. Innate immunity; 2. Adaptive immunity; 3. Infection and immunity; 4. Vaccination; 5. Clinical immunology; 6. Allergy; 7. Mucosal immunology; 8. The microbiome in relation to immune responses. Leipzig, Germany The Symposium about Ruminant Physiology will be held in Germany in 2019 at the Kongresshalle am Zoo of Leipzig. The Symposium is the major international conference on ruminant physiology. It provides an overview of current, important scientific findings and areas of research in the physiology of ruminants of all kinds.For more information, please visit the symposium website. The Organising and the Scientific Committees are delighted to announce that Croatia has been chosen as the venue for the 69th Annual Meeting of the European Federation of Animal Science. The meeting will take place from 27th to 31st August 2018 in Dubrovnik, one of the most prominent tourist destinations in the Mediterranean. The venue for the meeting will be the Valamar Resort. EAAP 2018 builds on the success of previous EAAP meetings, and it will provide an excellent opportunity for scientists working with a wide range of animal species and in related disciplines to meet and discuss the latest developments in animal sciences. For registration and other information about the European animal science annual meeting, please visit EAAP 2018 website. Bozen-Bolzano, Italy The Symposium is a joint initiative of the Free University of Bozen-Bolzano, the EURAC Research Center, FiBL Switzerland, Università degli studi di Padova and EAAP. It will be held for the first time in 2018 at the Eurac Research Center in Bozen-Bolzano. The overall objective of the Symposiums is to bring together scientists that deal with questions regarding livestock farming in mountain areas in Europe. Mountain regions face challenges due to their environmental condition that affect the success of production and that are similar regardless of geographic location. Therefore, the symposium covers a broad range of topics including all species relevant to mountain farming. Invited speakers, theatre presentations as well as poster presentations are foreseen. For further information please get in contact with Prof. Dr. Matthias Gauly (Matthias.Gauly@unibz.it). Conference: Insects in feed or food? • Should we eat insects or feed our animals? • Could insects be useful in (veterinary) medicine? • What can we learn from Southern countries? Are insects safe? More than 10 leading experts in the field will share their most exciting research discoveries. For further information and registrations, please visit the conference website. The conference is organized by the Croatian Agricultural Agency, the University of Zagreb, the Josip Juraj Strossmayer University of Osijek and the University of Zadar. It provides the possibility for verbal presentation, presentation via posters and the presentation of your institution/company or as a participant. For further information, please read the first notification of the conference. The AK Congress, which is a member of the Wolters Kluwer Group (The Netherlands), organizes the 2nd World Conference on Innovative Animal Nutrition and Feeding (WIANF) on 18th-20th October, 2017 in Budapest, Hungary. EAAP is one of WIANF professional partners. The Conference aims to present how the latest developments of animal nutrition and related disciplines can be applied in animal nutrition to produce high quality and safe animal derived foods and to ensure production in a sustainable manner. For further information on the topics of the conference, registrations and abstracts submissions, please visit WIANF website. The seminar, which will be held in Vitoria-Gasteiz (Spain) on 3-5 October 2017, will gather together the Subnetworks on Nutrition and Production Systems and it is jointly organized by Neiker-Tecnalia (The Basque Institute of Agricultural Research and Development), the Mediterranean Agronomic Institute of Zaragoza (IAMZ-CIHEAM), and the H2020 project “iSAGE” (Innovation for Sustainable Sheep and Goat Production in Europe), with the collaboration of the Food and Agriculture Organization of the United Nations (FAO). You can find the complete announcement of the event and all relevant information at the seminar website. The 14th International Symposium of Animal Biology and Nutrition will be held on September 28 - 29, in Balotesti, Romania and it is organized by the National Research-Development Institute for Animal Biology and Nutrition. The event gathers experts and scientist in biology and animal nutrition from all over the world, presenting their most recent research and current scientific trends. The main topics of the 14th Symposium will be: Quality and safety of animal products; Low input / sustainable animal production systems; Genetic biodiversity, breeding and reproduction; Feeding efficiency & environment; Animal welfare. For further information, please visit the symposium website. HAICTA 2017 aims to bring together professionals, experts and researchers working on Information and Communication Technologies in Agriculture, Food and Environment. It additionally aims to emphasize on the applicability of ICT solutions to real industry cases and the respective challenges. The Conference will take place from the 21st to the 24th of September, 2017, in Chania (Crete, Greece). The event is co-organized by the Hellenic Association for Information and Communication Technologies in Agriculture, Food and Environment (HAICTA) and the Mediterranean Agronomic Institute of Chania (MAICh), in cooperation with several other Institutions. For further information on the event and paper submission, please visit HAICTA 2017 website. The conference will be hosted by Wellcome Genome Campus and will bring together specialists working on the interface between genomics, genetic engineering and infectious disease with the aim of improving animal and human health and welfare. The meeting will showcase recent advances in genomics, genome editing, and mathematical techniques to understand disease resistance, pathogen evolution and vaccination success. For further information and registrations, please visit the conference website. The Institute of Animal Science of the University “SS. Cyril and Methodius” in Skopje organizes the “VII International Symposium of Livestock Production”, which will be focused on the most significant achievements in the field of livestock production, as well as on the exchange of knowledge and experience in the agricultural practice. For further information on abstract submission and registrations, please write an email. 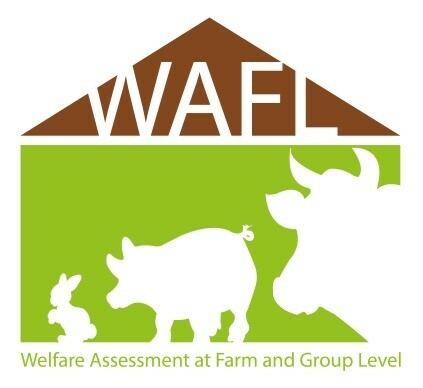 Today Precision Livestock Farming (PLF) technology is a reality. It has the potential to support and benefit animal feed suppliers, human-food retailers and other players along the livestock supply chain. This 'cross-disciplinary' approach is that 'animal-focused' scientists, engineers, companies as well as farmers' organizations have interacted and combined their strengths and views. Nowadays in modern livestock farming, the need for reliable automated systems is compelling for reasons, such as biosecurity, the environment, husbandry practices, feeding practices, and their direct links to animal health. Please note: WAFL especially invites interdisciplinary communications. The theme of the Congress will be how science can offer the meat production and processing sector solutions to enable it to nurture sustainably at local level while offering opportunities to grow globally. The conference aims also to provide a dynamic interface between academic research and innovative applications, and represents an important opportunity for everyone in the field of meat science. For further information and registrations, please visit ICoMST 2017 website. “Mechanisms underlying the link between health and damaging behaviour” and “Predisposing factors for damaging behaviour during early development”. In addition, the meeting will include a networking session, with the aim to facilitate knowledge exchange and future cooperation between researchers working on damaging behaviour in pigs and poultry. For further information on the programme and venue, and on how to register, please see the “Beak to Tail” homepage. organised by ISAG’s standing committees, poster presentations, and a series of networking events. For further information on the conference, registrations and submission of abstracts, please visit ISAG2017 website. 4. Measure, analyze and improve the implementation of the bioeconomy. further information on the programme, registrations and abstract submission, please visit ASPA 2017 website. FP7 project FECUND “Optimisation of early reproductive success in dairy cattle through the definition of new trait and improved reproductive biotechnology” will be completed at the beginning of 2017. You are invited to FECUND Final Stakeholder Webinar on Tuesday January 17, 2017 at 10:00 CET. With this final webinar, the organiser aims to share the results of FECUND project (2013-2017) with the relevant stakeholders of dairy cattle industry. Please Save-the-Date of FECUND Stakeholder Webinar to your agenda and visit the website www.fecund-project.eu for further information on the program, registration and participation to the Webinar. EU40 and Elanco Animal Health are jointly organising the third debate of the series “Sustainable EU Livestock: Actions Towards an Innovative, Climate-Smart and Competitive Future“. The event entitled “Sustainable EU Livestock: The way forward” will take place on the 30th of November 2016, from 13:00 to 15:00h, room JAN 6Q2 at the European Parliament. This final debate will be a wrap-up discussion of the 3 pillars of sustainable livestock production: environmental, economic and social, debated during the first events of the trilogy. Participants will discuss the way forward towards making the sector more sustainable, as well as how to bridge the trust gap between the livestock sector and consumers. The third debate, part of a trilogy, is co-hosted by MEP Franc Bogovic (EPP), MEP Michela Giuffrida (S&D) and MEP Daniel Dalton (ECR). Jannes Maes, Vice-President of CEJA (the European Council of Young Farmers), Lynn Frewer, Professor of Food & Society at Newcastle University, Lukasz Dominiak, General Director of the Polish Poultry Council, Luis Carazo Jimenez, Head of Unit – Animal Products, DG AGRI-European Commission and Jan Dirk Mulder, Senior Animal Protein Analyst at Rabobank are confirmed speakers at the event. The participation of a FAO representative is pending at the moment. Jean-Louis Peyraud, President of the Animal Task Force and Head of research at INRA (France) will be one of the speakers of the parallel session 4: "Micro and macro regional approaches in the bioeconomy". The agri-food sector is at the crossroads between huge opportunities and massive pressure. Every single decision needs to be informed by a wide range of factors, where citizen expectations, breakthrough technologies and consumption patterns in developed but also in developing countries are only the tip of the iceberg. 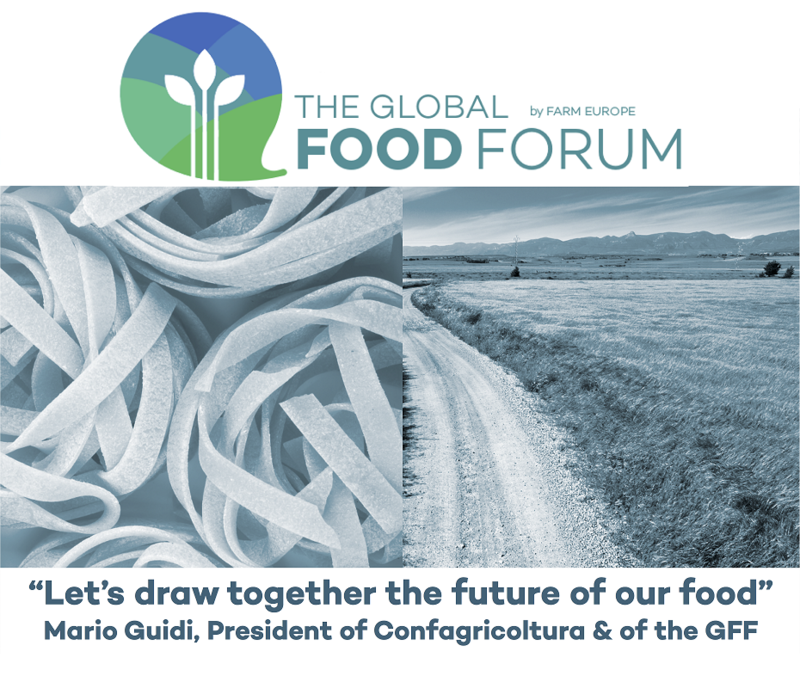 To cope with these challenges we truly believe that we need a strong strategic vision both at world level and in the European Union, where we have a real responsibility, taking into account our contribution to global food security in Europe and abroad. The Global Food Forum will gather passionate political and business leaders willing to share insights on their vision, as well as on possible pathways for future developments, aiming to enhance both economic performance and environmental sustainability – around 250 participants representing key influencers of the EU debate will participate, including many MEPs and Ministers that already support this initiative. The Common Agricultural Policy: a need for overhaul ? EU Climate goals: implications for EU food systems ? From food waste to nutrition: how to build a sustainable food chain? Geeks vs Fears: how to reconcile innovation and tradition? EU40 is delighted to organise the second debate of the series “Sustainable EU Livestock: Actions towards an Innovative, Climate-Smart and Competitive Future“. The event entitled “Economic and social pillars of sustainable livestock production” will take place at the European Parliament, from 12.00-14.00h, room PHS P5B001. We are pleased to invite you to join the Closing conference of the EU-PLF – Bright farm by Precision Livestock Farming, on Sept. 29th, Brussels. 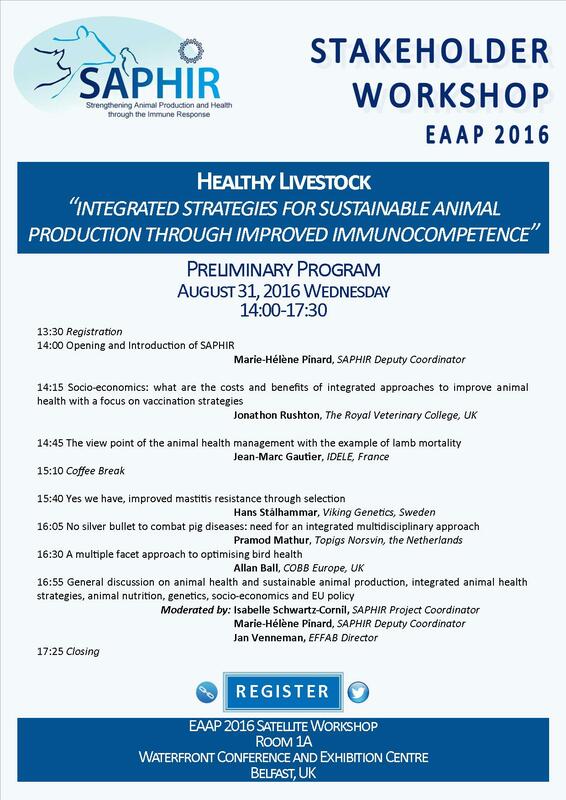 The Animal Task Force is co-organizing this event, together with EU-PLF project team and EAAP. By doing so, ATF is supporting dissemination activities of a major EU-funded project and dialogue between research, industries, farmers and policy makers. Management of livestock farming by continuous automated real-time monitoring/managing of production/reproduction, health and welfare of livestock and envi-ronmental load. Continuing the strategy, the 5th EAAP ISEP will focus on combining basic and applied research, and practical applications. Invited lectures and oral and poster presentations of the participants are planned. Methodological aspects of research on protein and energy metabolism and nutrition. The IMPRO project, co-funded by the European Commission 7th Framework Programme, released the detailed agenda for the final IMPRO workshop taking place on 9th September in the Representation of the State of Hessen to the EU in Brussels. The IMPRO project is about strategies and tools to improve animal health in organic dairy farming and to address what is needed to bring organic dairy farming closer to the expectation of consumers. Leeuwarden, the Netherlands Precision Dairy Farming is one of the major topics that influences dairy farming developments worldwide. After three successful North American Precision Dairy Farming Conferences, the first International Precision Dairy Farming Conference will be organized in 2016, in Leeuwarden, the Netherlands. All who are interested in Precision Dairy Farming developments. 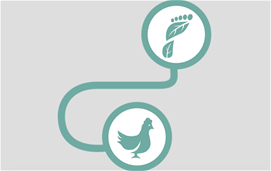 EU40 is organising a debate entitled “Environmental sustainability of livestock production” as part of the trilogy “Sustainable EU Livestock: Actions Towards an Innovative, Climate-Smart and Competitive Future”. The first debate will take place on the 27th of April 2016, from 12:00 to 14:00h, room PHS 5B001 at the European Parliament. The debate is co-hosted by MEP Michela Giuffrida (S&D), MEP Jasenko Selimovic (ALDE), MEP Franc Bogovic (EPP) and MEP Daniel Dalton (ECR). Sandwich lunch will be provided. – Foster innovation in R&D, policy and at the farm, as well as aknowledge-based livestock sector. EIP-AGRI workshop "Operational Groups: first experiences"
New date for EIP-AGRI workshop "Operational Groups: first experiences"
The EIP-AGRI workshop has been rescheduled to 20-21 April 2016. The EIP-AGRI workshop, which was set to take place on 20-21 January 2016, will now take place on 20-21 April 2016, at the same location - Legnaro, Italy. This will allow more already active Operational Groups to participate in the event. Utrecht, Netherlands The fourth BioEconomy Stakeholders' Conference will be held on 12 & 13 April 2016 at the headquarters of Rabobank Nederland in Utrecht, the Netherlands, under the auspices of the Dutch EU Presidency. This high–level European meeting is co-organised by the Dutch Ministry of Economic Affairs and by the European Commission. The conference is an action under the European Bioeconomy Strategy and Action Plan, and as such also serves as an important input to the future orientation of the European Bioeconomy Strategy, which will be reviewed and evaluated in 2016.